As most of you may know, I am a woman who loves lists. I have never met a list I didn’t really like. Seriously. I even love lists of chores. 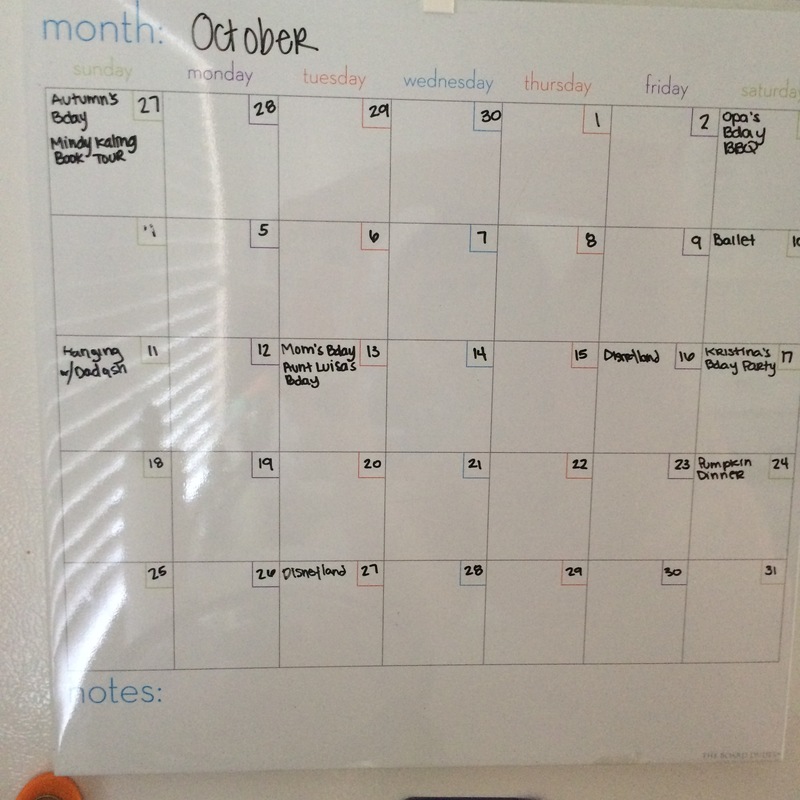 There is something about having a list that helps keep me on track and allows me to accomplish my goals. I have always loved lists. Even as a student in high school and college I would meticulously list out homework assignments and projects. Sure I had the class syllabus, but I needed to write out a list in a time frame that fit my work habits. Sure, sometimes my entire list didn’t get done, but I at least had a marker to tell me where to pick up again. Since becoming a mom, my lists are gone, and damn it I am going nuts. I love to live my life in ideals and delusions. Jacob likes to say I live in my own version of reality. And he is probably right to a very large extent. I blame it on my overactive imagination. I get an idea or thought in my head and assume that is how my life is going to span out. Applying for a new job? I submit my resume and immediately start planning what my new office will look like, how I can wear my nails in whatever color I would like, and the hip time I will spend being a productive individual. Then when I get the rejection email (which by-the-way, why must they email you to reject you? Why can’t they just not respond and pretend like they never received your application in the first place?) my world comes crashing down and I am utterly depressed about life and my qualifications. I am sure you can all see where I am going with this post….Having E has turned my world upside down in so many ways, and the largest way is my intense need for order and organization. I currently have three or four lists going that are never going to get done. Or I should say bits and pieces of them will get done out of necessity but by the time one set of tasks are completed, they will need to be repeated (think cleaning the bathroom, etc). I mean even my ability to write/blog is totally dependent on if E naps and I can put him down. I am shocked I have actually even gotten this far! I am sure some of my more seasoned mom friends will laugh kindly at this post and say that my lists are kind of silly from now until my kids leave the house, but man do I miss the structure. Maybe this will be a freeing experience in some sense, force me to loosen up and go with the flow a little more. I am not quite sure. I do know that currently even thinking about the things I would love to get done but won’t be able to makes me cry a little inside. I know that Hollywood has created this delusion that I would have a baby, bounce back, and be able to tote E with me to Starbucks coffee dates all while making healthy and delicious meals for Jacob and I and have an immaculately clean house. I still want to live a little under that dream. Maybe one day it will happen. Maybe one day I will have E down consistently for naps where he doesn’t have to sleep in my arms. Maybe I will learn how to manage getting little tasks done in 15 minute increments instead of binge watching How to Get Away with Murder. I just don’t know. All I do know, is that for now I miss my lists and structure. 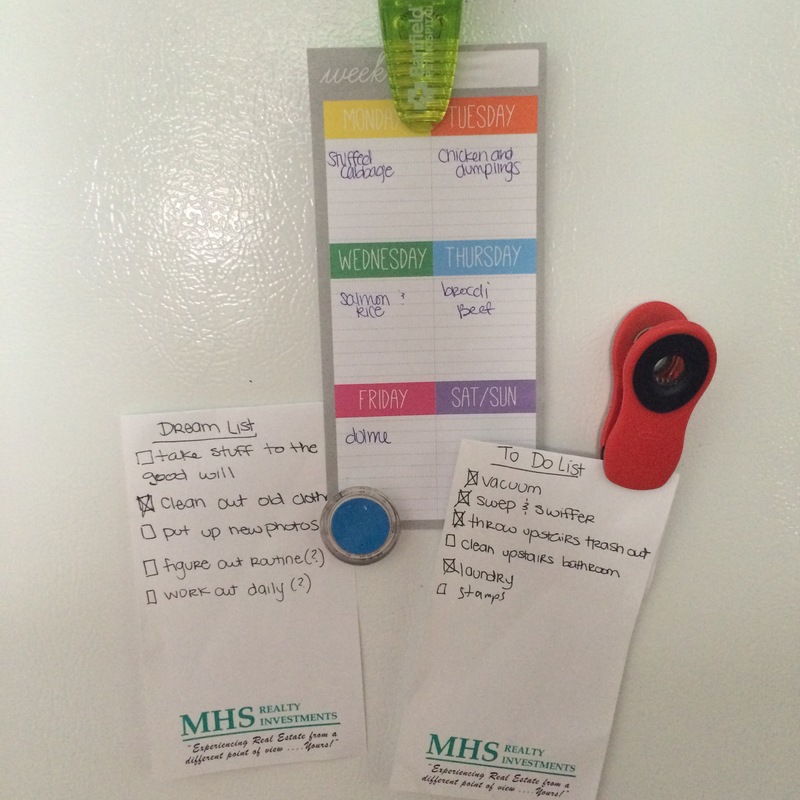 I never used to need lists when I was younger but now rely on them quite a bit because not only is my memory not what it used to be, but I have three kids in their teens, so there is SO much more to keep track of. My advice to you would be to enjoy this time that can be less structured and more go-with-the-flow while you can. But if you need the lists to feel like you are not losing your sanity, try what I do. I have a master list of things that are bigger or more long-term projects or things to do when I have time. I also keep a stack of scrap sheets of paper cut in quarters. I use them for sub-lists. I keep one for things I am hoping to get done during the current week and sometimes the following week, and then I have a stack that are for each day. These lists are where I write down smaller things like making phone calls, when I need to pick up a kid, things I hope to get done around the house, etc. I try not to put too many things on these smaller lists so I don’t get overwhelmed. Anything I don’t get done on one day gets transferred to the next day’s list so I can throw it out and feel like I am done with something. Good luck! Thank you so much for the suggestion! I will try working with daily sub lists and see how it goes.